Rally Sprints - For those who want to go rallying without the fuss. 26+km Competitive. Daylight & Night events. Enter online, $220/driver. 4WD, 2WD, Junior, Rookie, Single driver & Buggy classes. Up to 2 drivers can share one car. Multiple co-drivers allowed. The minimum age for drivers is 14 years old. Junior class award as well. The events will be up to two stages of approx 8.5km that will be run multiple times giving competitive distances of approx 26km. The stage configurations are altered from round to round. The organisers will provide basic route instructions and non-competitive recce is permitted. Competitors will line up from the assembly area at the stage start in order. The starters will start cars on one minute intervals. Competitors must run the entire stage without deviating from the course and complete it through the flying finish. Competitors must then significantly reduce speed and stop at the designated point for recording of their stage time. Stop/Go lights will be used for the stage start. Flying finish and stop points will be marked with FIA standard rally symbols. Once clear of the stop point, competitors may then travel back to the assembly area ready to repeat the stage. (i) Be mechanically sound with no fluid leaks, have functioning brakes that act on all four wheels and have correctly operating steering and suspension. Seats must be mounted securely with correct bolts. (iii) Be fitted with lap-sash seat belts to AS E35 or approved race harnesses. Belts/harnesses must attach to factory mounting points or approved anchor point(s) using correct bolts/eyelets. (iv) Have securely bolted in fire extinguisher(s) of at least 1kg capacity, which complies with AS 1841 using a metal mounting bracket. This should be mounted in a suitable position to allow easy access. Extinguisher(s) must be within 3 years of the manufacture date stamped on the neck or base. (v) Have on the body work, a blue triangle of sides 150mm, indicating the position of the battery. (vii) Have a well secured battery and where a wet battery is fitted in the passenger compartment, be mounted in a sealed enclosure with an external vent. (viii) Have sealed firewall(s) separating the fuel tank/pump(s)/filter(s) from the passenger compartment. Factory fitted (OEM) under floor fuel tanks are fine as long as all bungs/hatches are in place. (ix) Have internal door trims on both front doors. It is recommended that all vehicles be fitted with race harnesses to increase safety for competitors. Harnesses may be used with OEM seats. 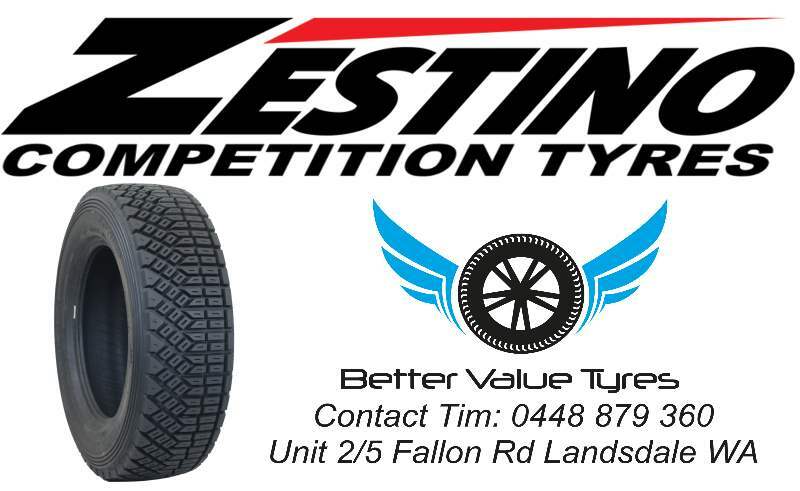 Contact organisers for details on fitment. Check the standing regs for more info. Q1. Do I need a rally car/roll cage to enter? A. No, the specs are similar to Autocross or Khanacross, however we strongly recommend fitting race harnesses. Q2. Do I need need a rally license? Q3. Do I need race suit, hans device etc? A. No, apparel and helmet standards are similar to Khanacross or Autocross (more info in regs). Q4. What is the minimum age? A. 14 years old, however must have previously competed in motorsport to be able to drive. Q5. How many drivers can use the same car? A. Up to two drivers can use the same car (separate entry for each). Multiple co-drivers allowed. Q6. Does each co-driver have to pay an entry as well? Q7. I have a rally car, it doesn't comply with PRC/C1/C2/C3 and/or is unrestricted, can I enter? A. Yes. You can enter a London taxi with a F1 engine fitted as long as it is complies with all the safety requirements. Q8. My competition license and/or club membership has expired, can I still enter? A. Have you been reading these FAQ's? Check Q2. Q9. Where is the Rally Sprint? A. At our venue in Dowerin. Q10. What's the track/surface like? A. The stage(s) are purpose built for rally sprints. They are all dirt comprising of loam, clay and gravel. Each round of the rally sprint series will have a different track configuration and running schedule. After each event the tracks are graded and rolled ready for the next round. Q11. Why can't I use a Motocross helmet, and how do I tell if my helmet does not comply? A. Some motocross/motorcycle helmets do not have a standard on them. To be able to be used in a rally sprint, the helmet must comply with a standard listed in the regs. If there is no label on or in your helmet, you won't be able to use it. Need more info on Rally Sprints?